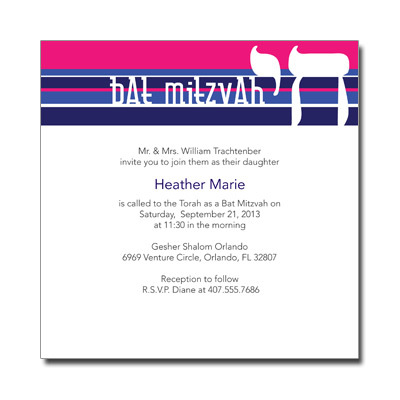 This Bat Mitzvah Invitation has pink, purple and blue stripes on the top with the Chai symbol in white. 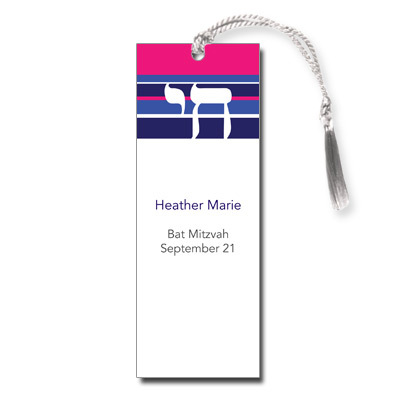 Personalize with your child's name in purple and ceremony information in black. 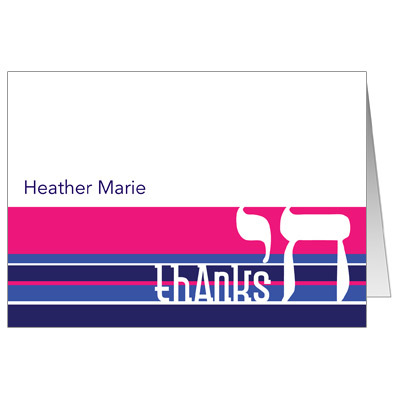 Measures 5.875in. square. 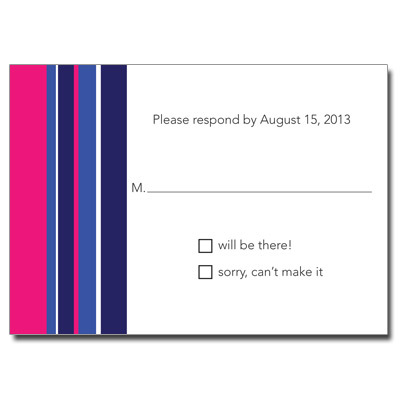 Additional postage required.